3This book aims is to be a reader's first introduction to the amazing world of programming. 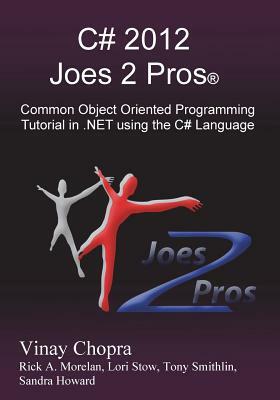 Keeping that in mind, the book has been designed so that individuals with no previous experience with programming can understand C# in a natural manner. Most of the programming fundamentals have been presented with analogies relating to everyday life making concepts easier to grasp and remember in the long term. The concepts presented in this book can be applied to many other object oriented programming languages making learning them much easier. There are a few carefully selected questions provided at the end of each chapter for the users to test their understanding of the material and also practice their newly learned skills. For a more hands-on experience, this book accompanies some videos (found at Joes2Pros.com) which walk the users through each section making the learning experience much more interactive.